When we studied the historical account of Gideon, God and Israel this Summer, we saw the results of living without putting God First. Israel removed God from their everyday decisions and choices and forgot the God who had done so much for them. Imagine what this account would have looked like IF, IF, Israel would have put God first and allowed Him to Guide, Provide, Protect, Lead and be their God? The story would have looked far different and Israel would not have had to go through all the turmoil of NOT putting God first. This brings us to you! Where do you have God in your life? This week we focus on Making God your Priority! Who is God to you? Your view and opinion of God will actually determine how and where you prioritize Him in your life. Can you list the ways that God has provided for you this past year? Where do you see God’s hand in your path? 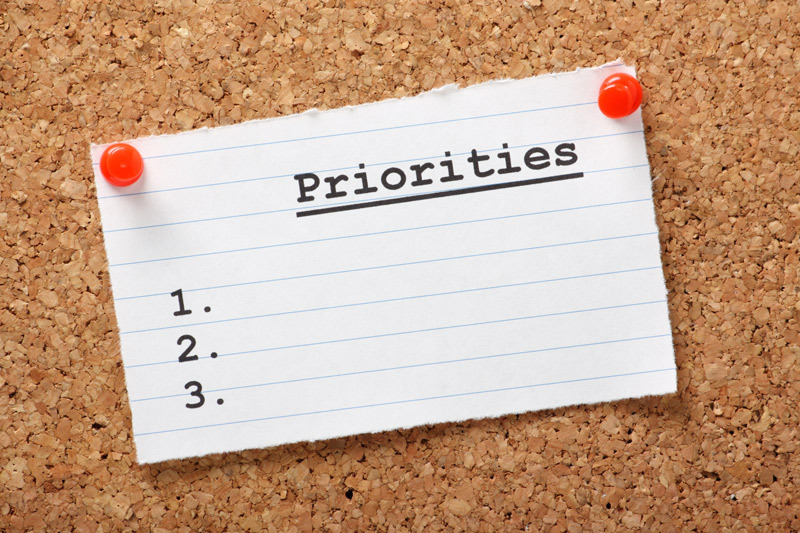 Where is God on the list of your priorities? Why do you think that you allow God to NOT be a priority in your life? How can YOU change this? How can you make God a priority in your life? How we treat God and others give us many areas where we can choose to make God the Priority. Does KNOWING Christ inspire you to make Him a priority? Why or why not? Many people go through life thinking “I got this!” or “I can handle this”. I know because I’m one of those people. Living your day fueled by your own ability, relying on your own strength and basically believing in your body with always leave that void in your soul. Acing that quiz, scoring that winning shot or even impressing someone you reallyyy wanted to impress can make you feel like “The Man” BUT! that’s only short lived. Chasing worldly things to close that gap is pointless. It’s like biting an apple but expecting to taste an orange. IT’S NOT GOING TO HAPPEN!!!! You begin to wonder why you can’t cope, what’s missing from your life, what do they have that I don’t? Yeah, that’s what was going through my head and God finally got through to me and made me read these Devo things Richard was talking about. Man if told you how difficult and easier life is with Him, our precious EGO that we love so much wouldn’t begin to comprehend it. When you let go and just give every ounce of your being to Him it’s like well to put in in simple terms AWESOME! Kinda like how you’re on fire after Camp then as school starts and that flame slowly dies because you haven’t been in the Word. Having a good relationship with Him keeps you on fire and makes you burn brighter and brighter.